At first glance, Blindstitch Foot #5 and Edgestitch Foot #10/10C/10D appear to be the same. A closer look shows differences in the feet that relate to the purpose of each one. 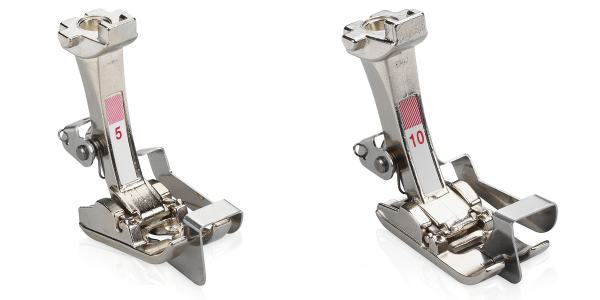 I use both of these presser feet on my B790 PLUS and they can be used on any BERNINA sewing machine model. 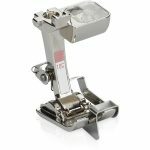 Each of these feet has a metal blade that acts as a guide down the center of the foot. 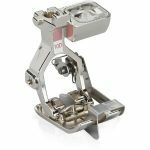 Both guides are attached to the feet with springs. This makes them flexible, so it is easier to move over seams as you stitch. Look at them from the bottom of the sole and you’ll see that the guide on Foot #5 extends back through the needle opening of the foot, where there is a curve in the guide. The guide on Foot #10 stops at the needle opening. The diagram below shows the guides extending to the back in red. The main use for Blindstitch Foot #5 is sewing a blind hem. 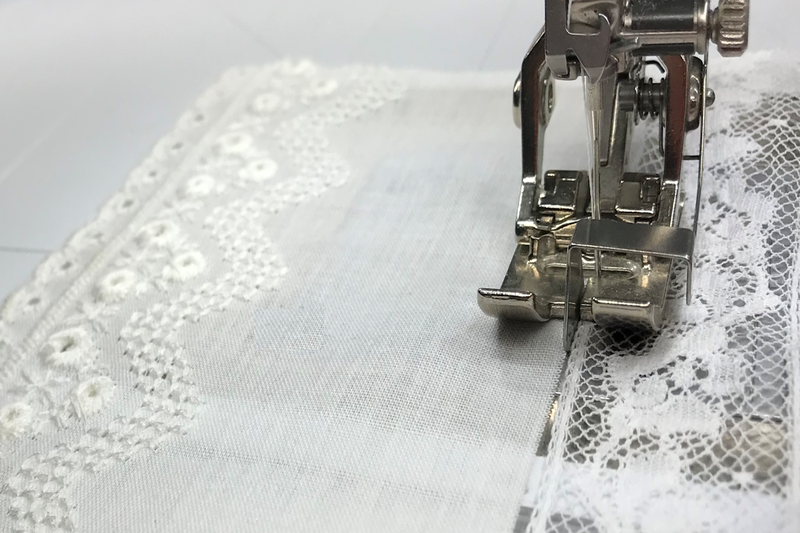 The goal is to stitch a hem that lies flat and does not pucker. Because the guide extends down the middle of the foot, the needle must form the stitch over it as the hem is sewn. This makes a loose stitch, which in this case is a good thing. The extra slack in the thread lets the fabric lie flat without puckering once the hem is stitched. 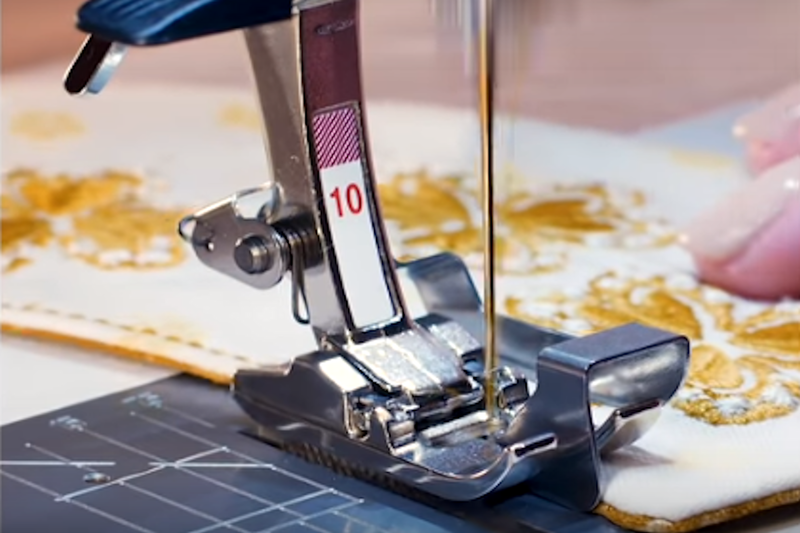 Click here for a great video about stitching a blind hem. The guide on Foot #10 is shorter than the one on Foot #5 and provides more contact with the fabric. This makes it useful for edgestitching and especially helpful when working with lightweight fabrics. 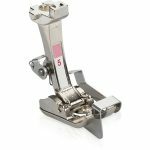 This is the reason Foot #10 is a favorite for heirloom sewing, which requires the precision stitching that this foot offers. 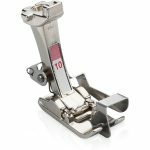 As the implies, Edgestitch Foot #10/10C/10D is perfect for edgestitching. Place the fabric edge next to the guide, either to the right or left. Adjust the needle position to stitch on the fabric as desired. Because the guide does not extend back through the center of the foot, you can easily maneuver around curved edges. Click here to see a video about the edgestitching technique. Foot #5 can also be used for edgestitching with some limitations. 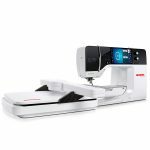 It works on medium to heavy weight fabrics, but not lightweight ones. 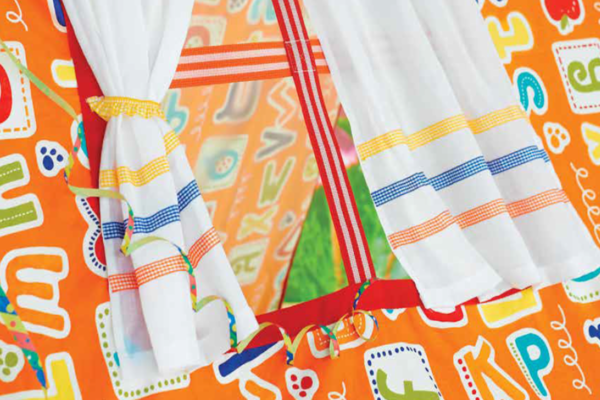 Because the guide keeps the foot if from making full contact with the fabric, it tends to feed unevenly on flat fabric. If you choose to use Foot #5 for edgestitching medium to heavy weight fabrics, be aware that all of the left needle positions may be used. The only other usable needle position is the far right one. 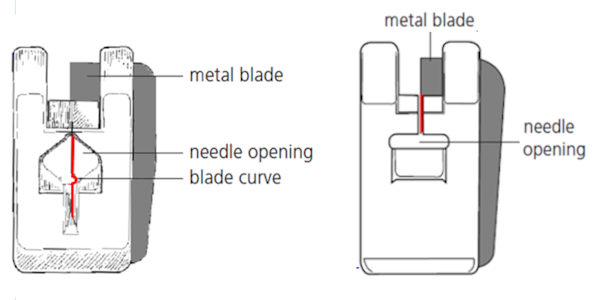 Any of the other right needle positions will cause the needle to strike the blade, likely breaking or dulling the needle. 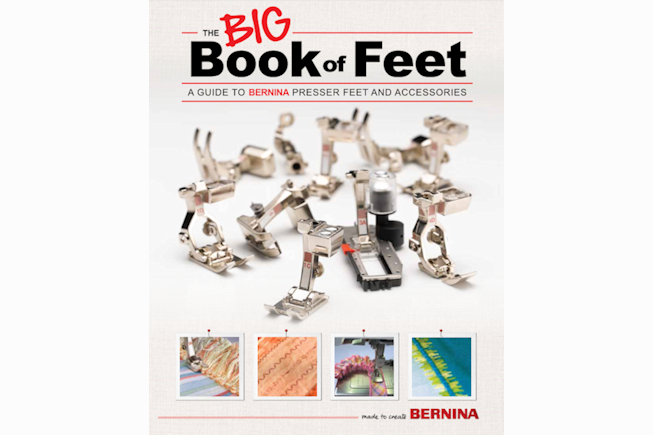 For more information on BLindstitch Foot #5 and Edgestitch Foot #10/10C/10D, see the Big Book of Feet at your local BERNINA store.